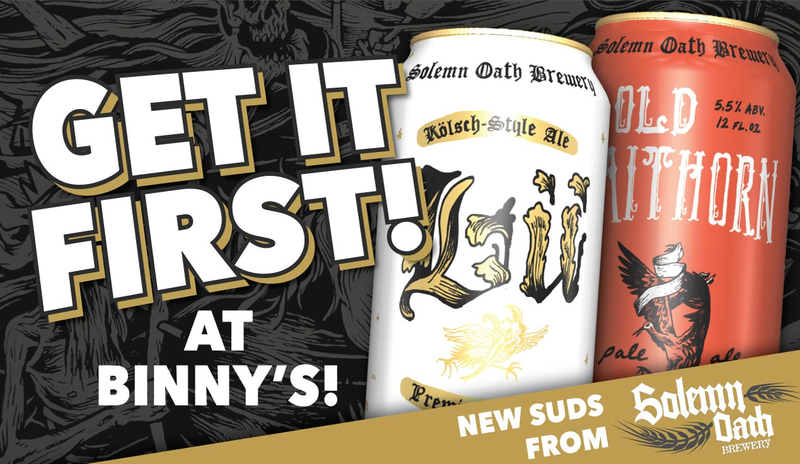 Tucked away in a small Naperville business park, Solemn Oath Brewery continues to grow in popularity; brewing everything from resin drenched IPAs to big spicy Belgian ales, and a handful of incredible barrel aged brews in-between. With their canning line up and humming, theyve added two refreshing new brews to their lineup. Light, bright and easy to drink; both are perfect for toasting the return of spring. Kölsch is the beer of Köln, and a growing number of American brewers are trying their hand at this German specialty. Lü is one of the most loyal and refreshing interpretations weve ever tasted. Mellow maltiness is complemented by a subtle spicy hop character, making for an incredibly balanced beer. Have friends who refuse to give craft beer a try? Introduce them to Lü. *Not Available in Champaign or Bloomington. Old school balance meets new school hops in this deliciously drinkable pale ale. Bright citrus and honeydew melon on the nose complement notes of mango and marmalade on the palate. The finish is soft and juicy, with honeyed malt giving way to a bright tropical finish. Much like Lü, this balanced brew is a cooler packing crowd pleaser. Check out the Beer Buzz for updates on new beer, tastings, sales and more!